After creating a number of circuit boards for projects (produced by OSHpark) it occurred to me that perhaps I should try to make my own. A number of people have done this before with great success so I decided to give it a try. The reason being is that it takes roughly 2 weeks from ordering before you get the boards. 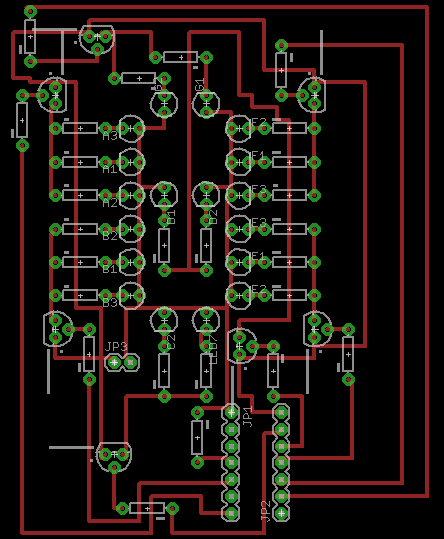 Depending on the intricacy of board (1 sided or 2) the cost of PCBs at times still seems high. Knowing that I would not be able to produce the quality of fab house boards I decided to give the process a try on a simple 1 sided board that I designed. 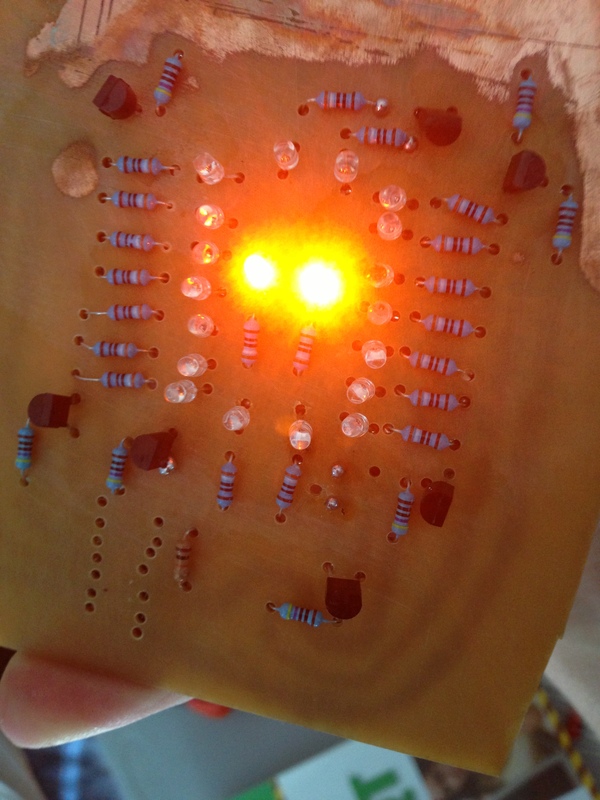 This board creates a 7 segment LED display using an ATtiny84. Now the etching process. 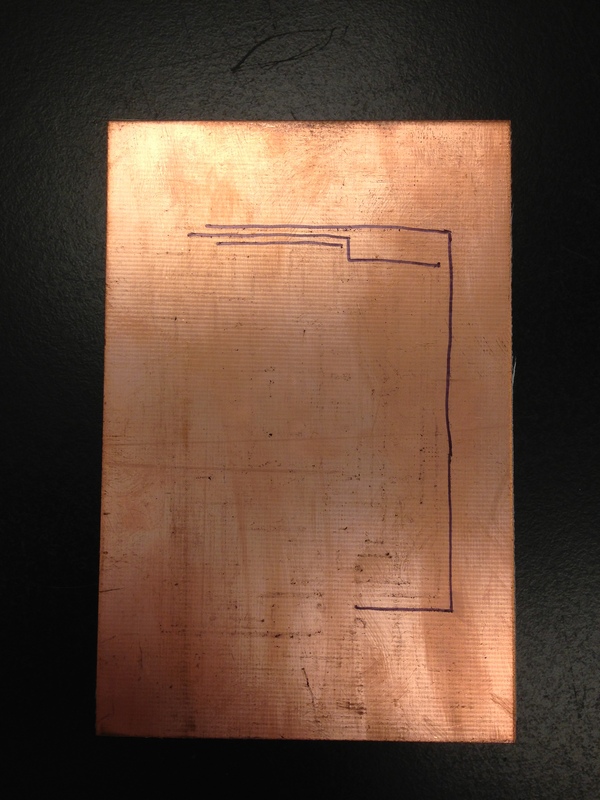 There are a lot of great methods now to transfer the image from Eagle to the copper clad board. For example you could use your iron. Not being terribly worried about how pretty the traces looked, I took a Sharpie (you can tell why I am an Engineer and not an artist) and drew everything, on measuring a few distances out with a ruler. 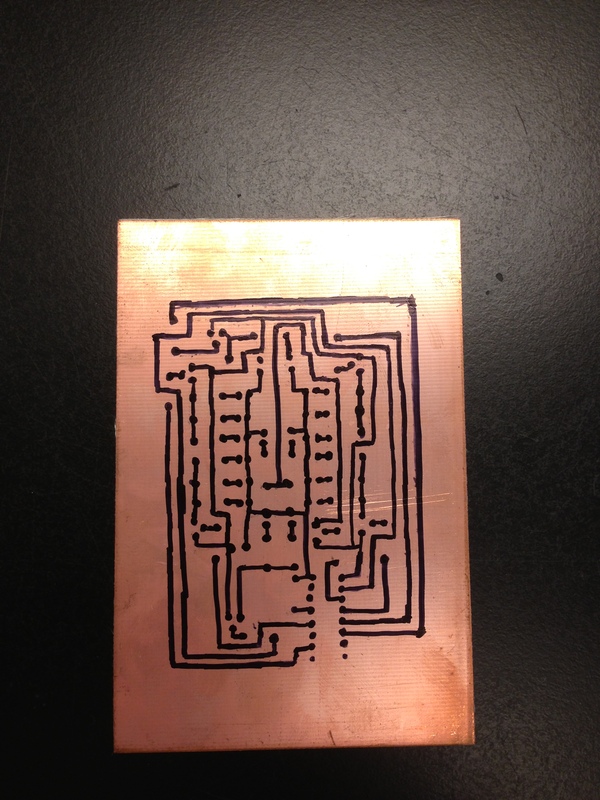 Be sure to draw several layers of Sharpie on top, because some of the Sharpie will come off when you etch the solution and you don’t want the copper exposed. First I tried using Ferric Chloride. There was some left over from a kit in our school’s chemistry lab so I gave it a try during Robotics practice. Practice started at 3:30pm and when I checked it at 5:00pm about 10% of the copper had been eaten away. That was not going to work, although, I have to point out that the solution was several years old and has been proven to work quite well before. Time to find a different method. After searching around I found this Instructable using hydrochloric acid and peroxide. My robotics/chemistry teacher was nice enough to let me give it a try and we did. We first used a 1:1 ration of 6M HCL and 30% Peroxide. It immediately started eating away the copper, but stopped about 25% of the way through. Hmm. It turns out that Peroxide is the limiting reagent and since the peroxide had been sitting for a while, it had gone bad. So we added some fresh Peroxide (a lower percentage), but nonetheless it worked perfectly and started bubbling away eating off all of the copper in a few minutes. That worked pretty well. 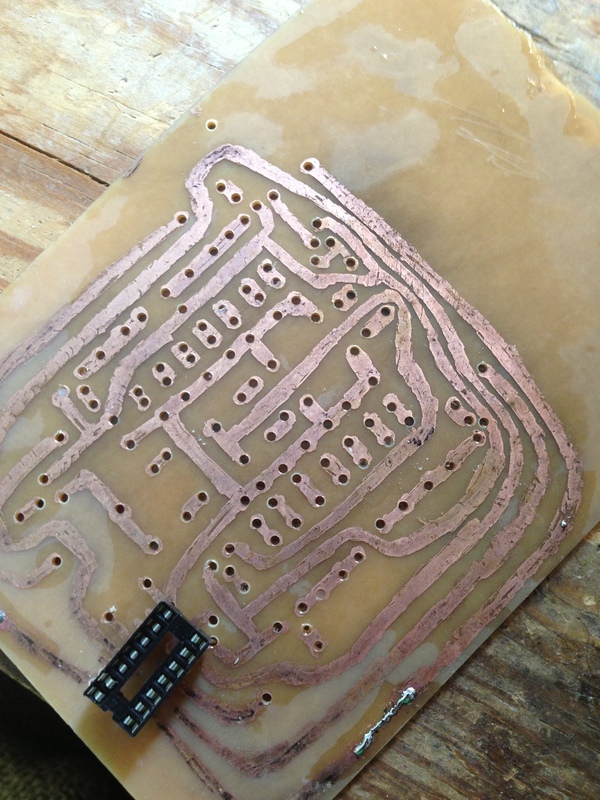 Another unnamed solution in the kit that I can’t seem to find, took of all of the Sharpie and exposed the copper traces. The problem then arose that some of the solution had actually eaten under the Sharpie and through the copper leaving very thin gaps in the traces. Just enough to ruin the electrical connection. I repeated the process all over again using much thicker traces when I drew on the Sharpie, but the same thing happened in a few places. 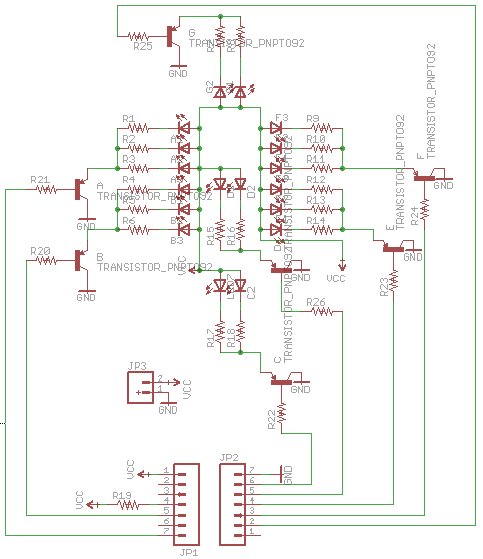 The solution: solder and a flux pen. 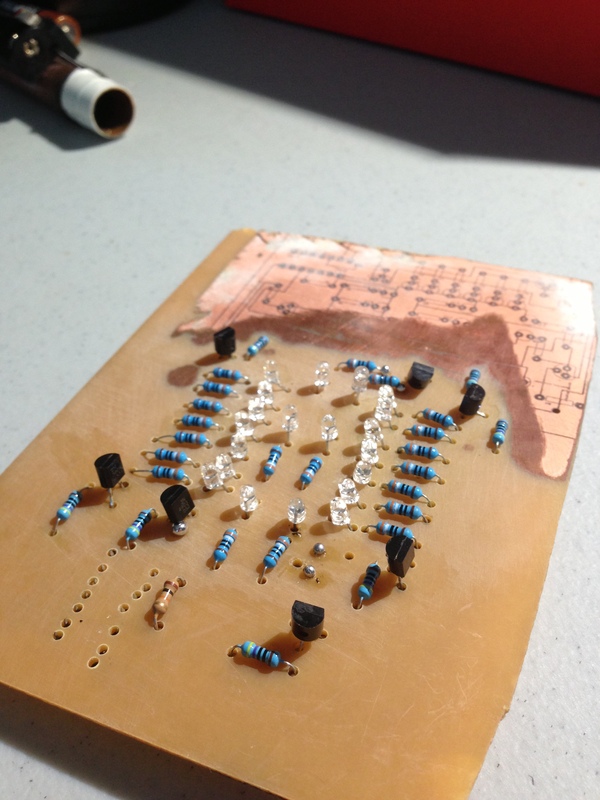 I coated all of the offending traces with a lot of flux and then covered them all with solder. A few minutes with a drill press (more for precision than power) and I got the resulting board. Copper covered in solder in the bottom right corner. Solder the transistors, LEDs, and resistors and you get a nice little programmable 7 segment display!. I tried ironing on the schematic (seen in the top right of the board) with semigloss paper. It completely failed. Something in the semigloss paper resisted the HCL/Peroxide solution so I had to sand it off to use the rest of the board. My final opinion? 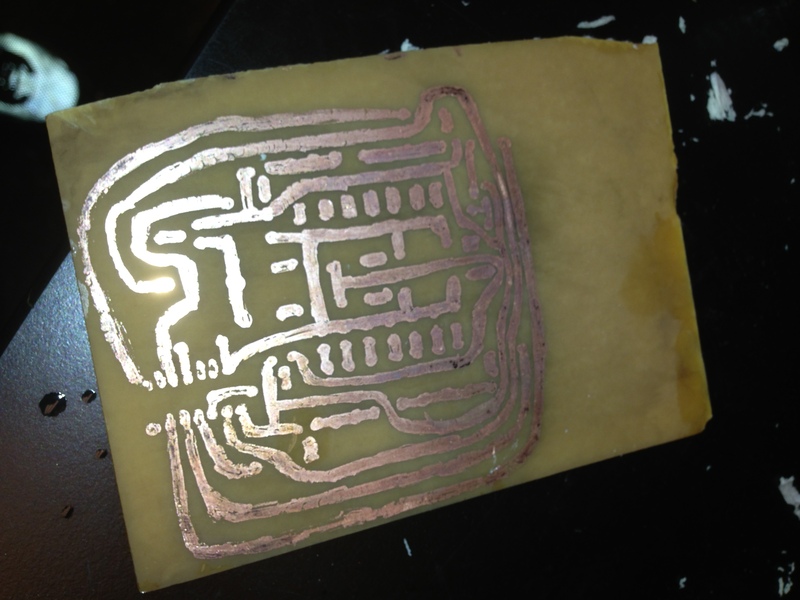 It was a lot of fun to try this process out and learn a little bit more about the production of PCBs. For the moment, though, I think that I will stick with getting my boards made from a fab house. 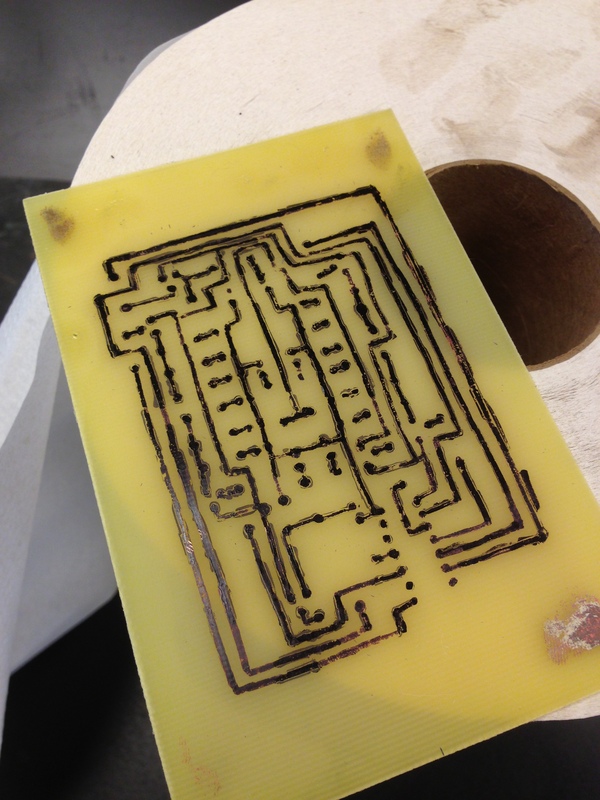 I didn’t even try to make a via, silkscreen or solder mask. hOur site offers a wide variety of non prescription drugs. Take a look at our health website in case you want to strengthen your health with a help of health products. Our company offers a wide variety of non prescription drugs. Visit our health portal in case you want to strengthen your health with a help of general health products. Our company offers a wide variety of non prescription products. Look at our health website in case you want to to improve your health with a help of generic supplements. Our site offers a wide variety of non prescription drugs. Take a look at our health portal in case you want to feel better with a help health products. Our company offers a wide variety of non prescription products. Look at our health portal in case you want to look healthier with a help generic supplements. Our company offers a wide variety of non prescription drugs. Visit our health site in case you want to look healthier with a help health products. Our site offers a wide variety of non prescription products. Look at our health site in case you want to feel better with a help generic supplements. Our company offers herbal health products. Visit our health contributing site in case you want to feel better. Our company offers a wide variety of non prescription products. Look at our health website in case you want to strengthen your health with a help generic supplements. Our company provides a wide variety of non prescription products. Look at our health contributing portal in case you want to look healthier. Our company provides a wide variety of non prescription drugs. Look at our health website in case you want to to improve your health with a help of general health products.